Get your eyes tested using top-of-the-line technology! Great eye care begins with regular eye exams. We check children and adults of all ages. Red eyes, irritation, injury and disease are part of what we do! We even have after hours and weekend services available. Call us at (435)-723-2144 today. Welcome to Brigham City Eye and Vision Care in Brigham City. Dr. William Harrison and Dr. Joseph Olson and the Brigham City Eye and Vision Care team strive to provide the best in optometry services. We invite you to browse our website to learn more about our optometry services and join our patient family by scheduling an eye exam appointment at our Brigham City office. Brigham City Eye and Vision Care is a full service eye and vision care provider, accepting both eye emergencies as well as scheduled appointments. Patients throughout the Brigham City area come to Brigham City Eye and Vision Care because they know they will receive the personal attention and professional care that is our foundation. Dr. Harrison, Dr. Olson and our team are dedicated to keeping our patients comfortable and well-informed at all times. 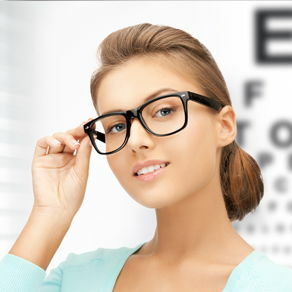 At Brigham City Eye and Vision Care, we will explain every exam and procedure and answer all of our patients' questions. Additionally, at Brigham City Eye and Vision Care, we offer vision financing options and will work with vision insurance providers to ensure good eye health and vision care for all of our patients. Our one-on-one approach to optometry shows you how careful and involved Dr. Harrison and Dr. Olson are in caring for your specific needs. Every patient has plenty of time to get questions answered and talk through any concerns you may have. 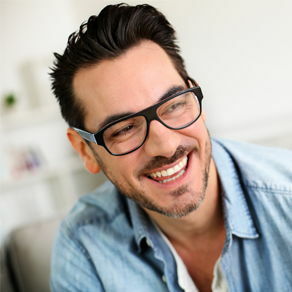 Our Brigham City optometrists offer the following services: complete eye exams, contact lenses, glasses, eye disease evaluation and treatment, and pre- and post-operative care. For a complete list of services, visit our services page or call our Brigham City office at (435)-723-2144. At Brigham City Eye and Vision Care, we are dedicated to providing high-quality optometry services in a comfortable environment.Call us at (435)-723-2144 or schedule an appointment today online. "Love this office! Dr. Harrison takes his time and is thorough and careful in his examinations. I've been going to him for years and have always had excellent, quality care! I appreciate medical providers whose number one priority is the patient and their health. Both Dr. Harrison and Olson are this way. The staff is great as well! Highly recommend!" "Dr. Olsen was awesome! His staff was friendly and great to get me right in. I recommend his services to anyone needing a true eye care professional!" "Yeah, I love coming here, they helped me and have been so much with my vision and eyes :)"